In the last post I looked at the players, now lets look at the teams. 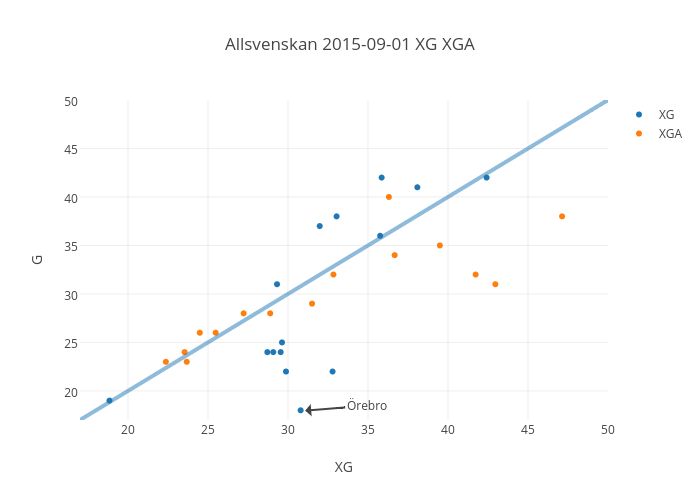 This plot tells how well the teams has performed in relation to their expected goals for and against. 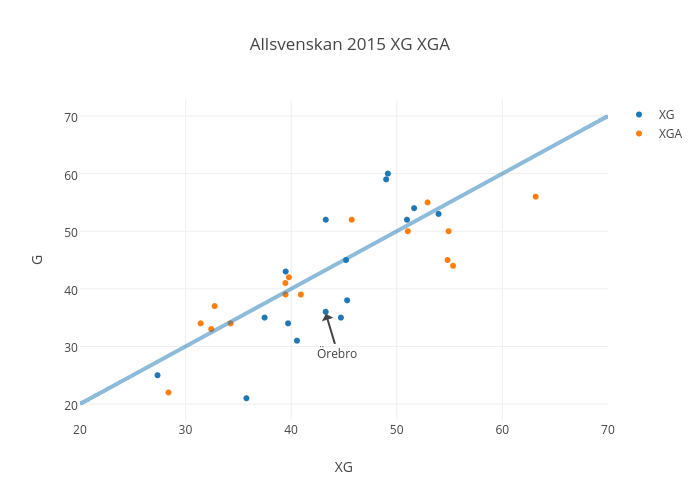 In the top of the table it is noticeable that IFK Göteborg conceded 22 goals for an expected 28 and scored 52 for the expected 43. Looking at that it would be very unfair to say that IFK Norrköping doesn’t deserve to win the title or that it was unexpected. 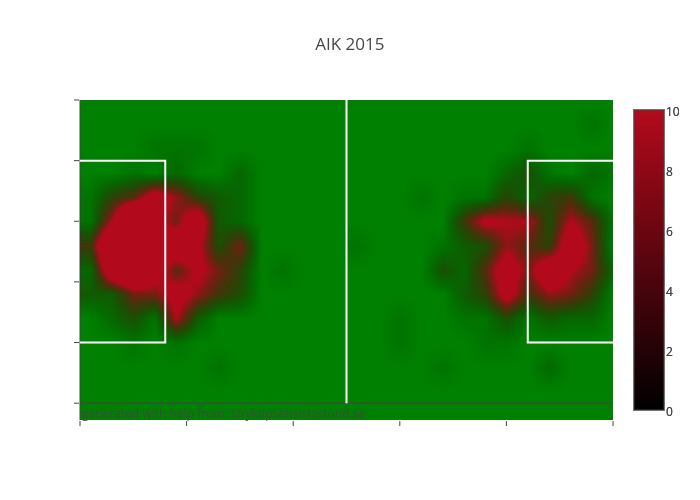 Norrköping shows similar offensive numbers, 60 scored from an expected 49! But defensively they have performed as expected by conceding 33 goals from an expected 32. As I did in my summary of Damallsvenskan – here are the heat maps of the teams taken and conceded finishes, ordered by league position. Next up will be a summary of Superettan!